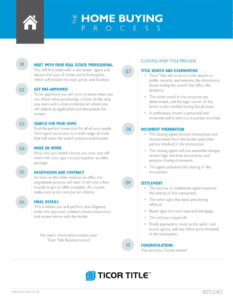 Here’s a step-by-step guide to the home buying process — provided by our friends at Ticor Title. Click on the photo to enlarge. And when you’re ready to begin your own home buying process give me a call. I’d love to assist. 775-722-4011. This entry was posted in General, Strategy and tagged home buying process. Bookmark the permalink.